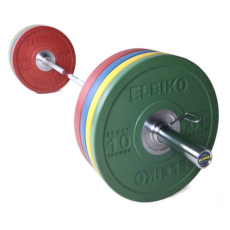 For more than 50 years, Eleiko Sport has been dedicated to producing exceptional strength training equipment including Olympic weights, discs, bars and other free weights. The leading brand in the professional sports of weightlifting and powerlifting, they have a true passion for delivering exceptional strength equipment used by thousands of athletes around the world. Eleiko products are delivered to over 160 countries and are often seen on the world’s largest championships including the London 2012 Olympic Games. 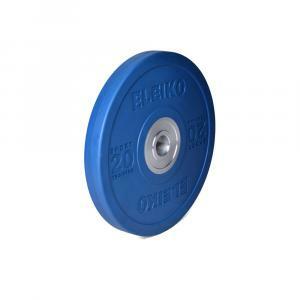 With quality, professionalism and customer service as guiding principles, Eleiko is a strength training equipment supplier you can rely on. Whether you are looking for Olympic weights, bars or other equipment to support your strength training goals, you can buy with the peace of mind that you are purchasing exceptional quality equipment. The Eleiko weight bar is the most famous bar in the world and is produced by skilled craftsmen using quality Swedish steel. Every Eleiko bar undergoes a stringent quality control procedure. If any weight training bar fails to pass strict requirements, it is discarded. As proof of passing the stringent quality checks, all Eleiko products are furnished with date of production, batch number, serial number and the craftsman in control and packaged in high-quality, custom-made packaging.